Chuck B.B. will bring his unique brand of METAL MAGIC to our new CULVER City location this Wednesday! 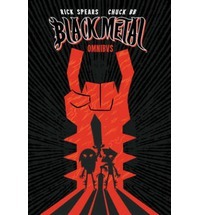 Feel the hellfire and taste the damnation when you check out BLACK METAL OMNIBVS EDITION and say hello to the master of comic book metal in the flesh!